My sister and I were driving down Wabash and saw some activity at the Southwest corner of Wabash and Cullerton. 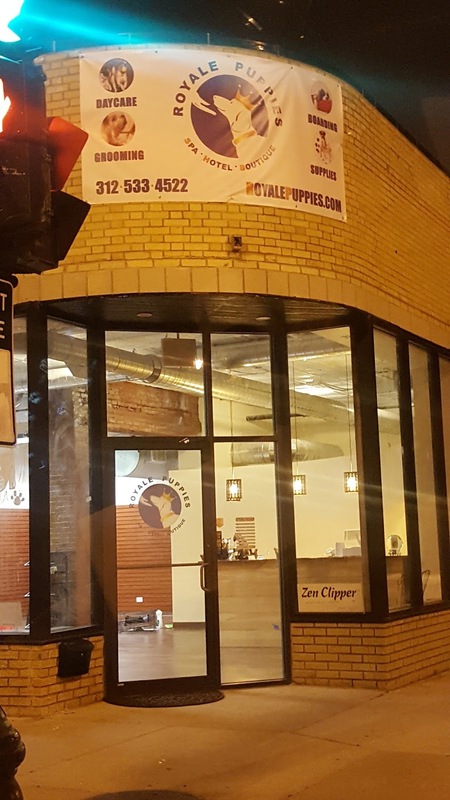 It appears that a dog store, Royale Puppies, is opening (see image). We don’t know when it is going to open and could not find any information from a quick google search about it. Does anyone know? Love the name! Anyone know anything?